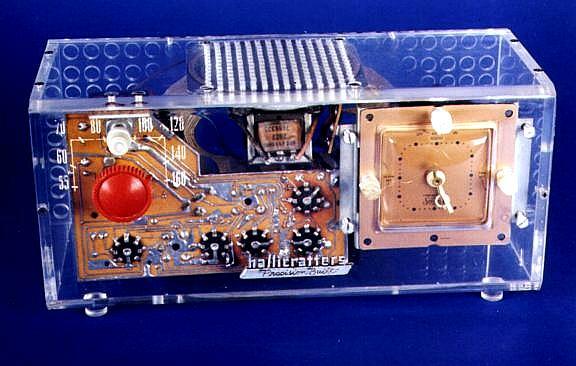 Here are some interesting prototypes, promotional and one-of-a-kind Hallicrafters radios. Please refer to my book for additional information on these. Click on the thumbnails for the full-sized picture. 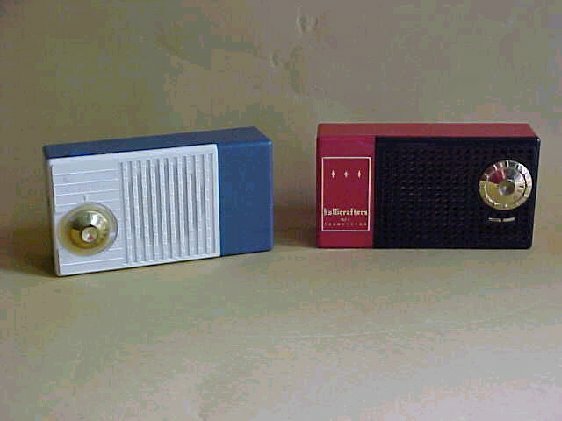 6-Transistor AM Pocket Radio. 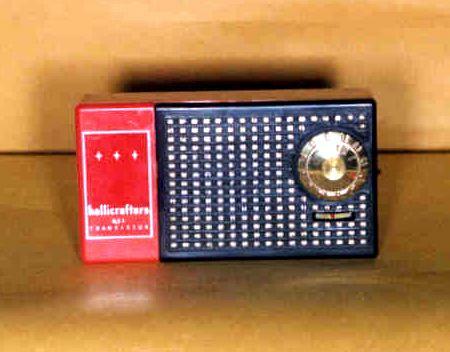 Manufactured	by Raytheon for Hallicrafters. Uses miniture tubes. 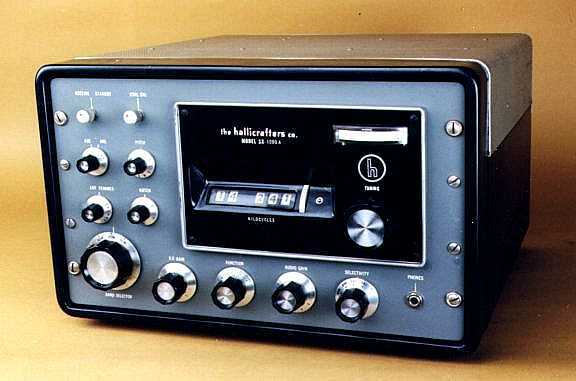 It originally sold with a combination base/AC supply for use when not using battery power. The Model ID can be found on the battery	compartment cover. 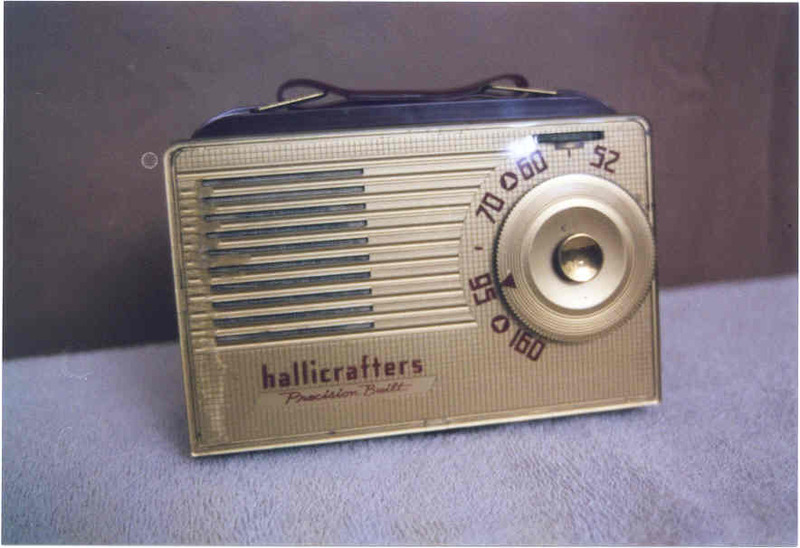 This very unusual Hallicrafters radio is a Model 4RT3. Until I saw it up for bid on E-Bay in mid February. I was totally unaware it existed. I am very excited to have it in this collection and to share it with you on this site. 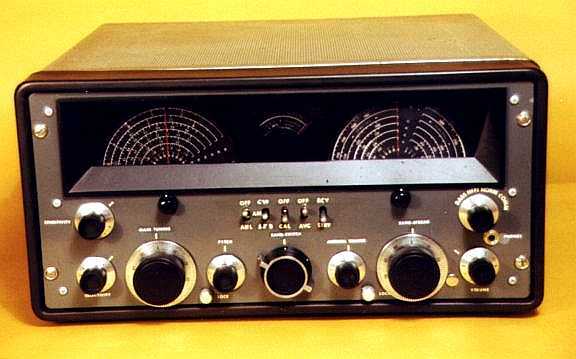 It is a 4-transistor unit very similar to the TR-44, but has an entirely different chassis. The case is also similar, but not the same. 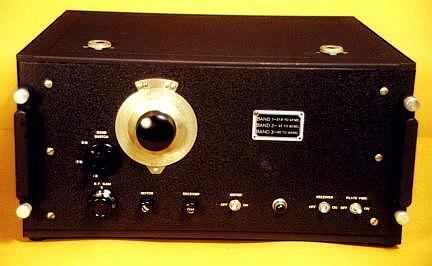 The TR-44 was built by Raytheon, and is the same as the Raytheon model T-100. I am positive Raytheon also built the 4RT3. Interestingly the T-100 has another model number in the Raytheon line and that is 4RT1. I	can not find the 4RT3 listed anywhere under Raytheon or Hallicrafters. The model number stamped on the inside of the battery compartment cover is clearly meant to be a model number, and it is 4RT3. 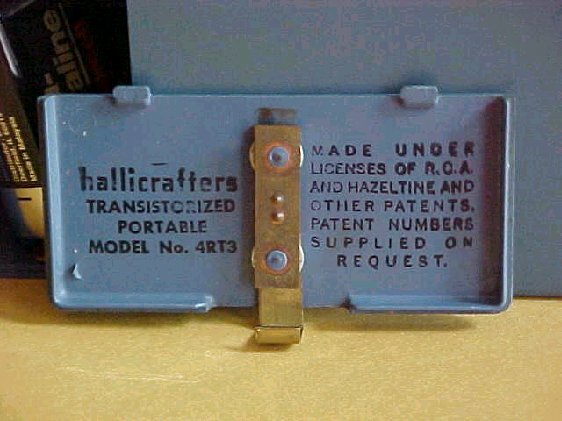 Rather than a glued on logo as with the TR-44, the 4RT3 have the Hallicrafters name and the word "Transistor" engraved into the plastic. 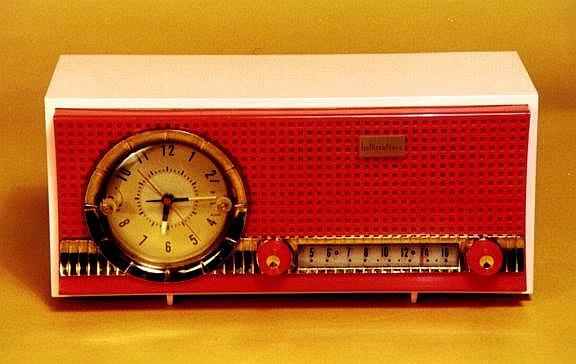 It is just above the dial knob. It is not real visible because the letters are not real deep and all of the paint has washed out. If any one knows more about the history of this model, I would love to hear from them. 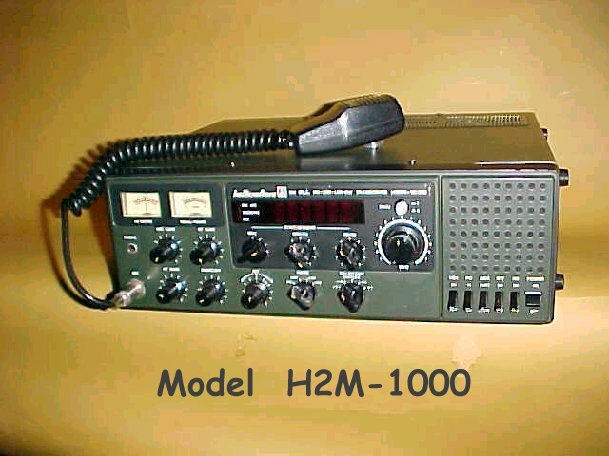 The H2M-1000 is one of those items that in 25 years of collecting I had never seen, never knew of anyone who had seen one, and the only reference to it in the book is a line sketch. I was sure that this model never went into production. So you can imagine my surprise when I saw this one up for bid on eBay. 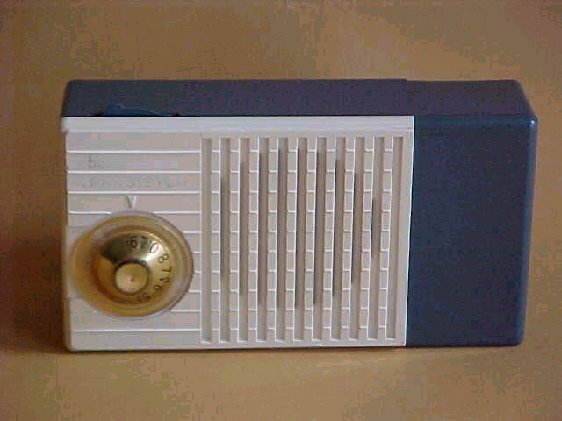 I won the radio, and after checking it out thoroughly I believe it to be an acceptance prototype, one of maybe three units built. It confirms my theory that the model never went into production. 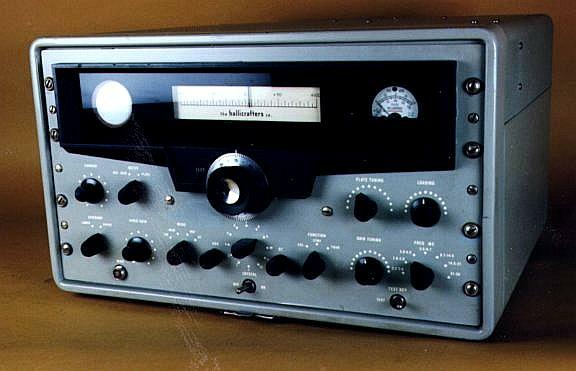 On the technical side this model is an 800 channel all mode (FM-CW-USB-LSB) 2-meter transceiver with a power input to the antenna of 1 or 12 watts. 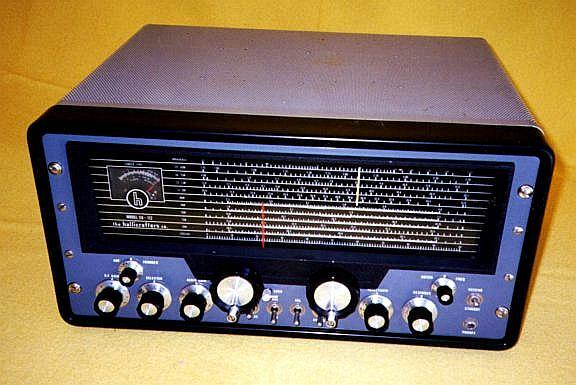 It has a noise blanker, RIT, S-meter & tuning / RF output, squelch, VOX, and more. This has got to be one of the most unusual Hallicrafters items I have found to date. 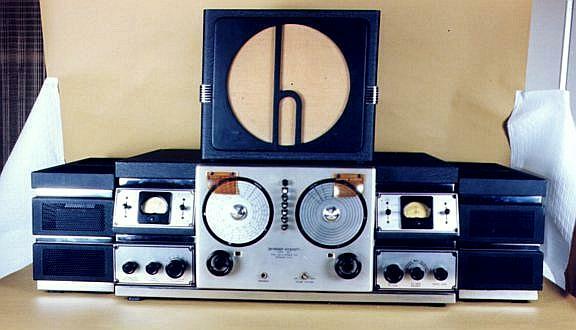 I believe it to be the engineering prototype of a negative ion generator that never went into production. 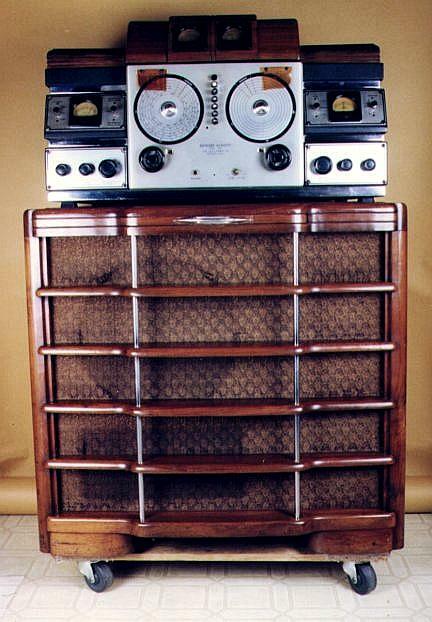 It is built into the case of a R-48 speaker. 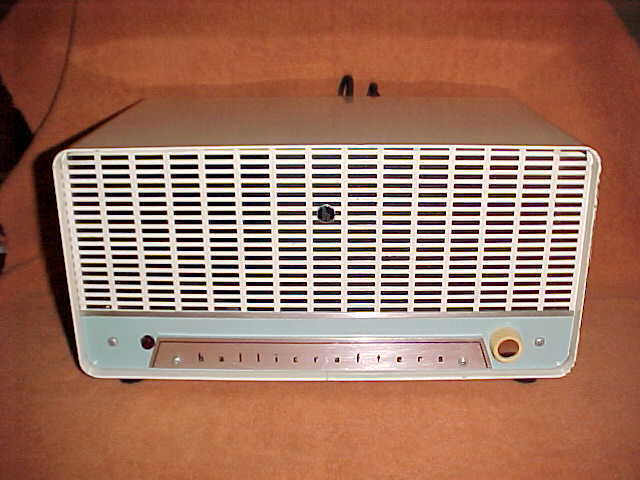 The "production model", which never was, would have been built using the S-120 case. The manual shown here is the first draft of what was going to be the operation and technical description manual. This too never went into print. This project was dated October 1960. 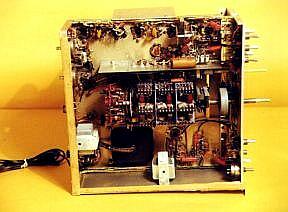 This item was acquired for the collection from Bob Leverence, an ex- Hallicrafters engineer and plant manager. Thanks Bob. This	is another of the most unusual items I have procured for this collection. It is a silver (well, perhaps Nichol plated brass) six pointed star with the state of Illinois emblem in the center. I had never seen one of these until this one showed up on E-Bay last month. 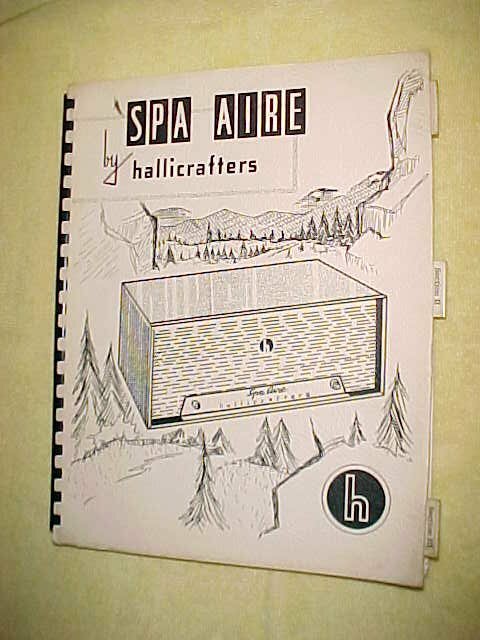 I have no positive proof, but my theory is that during the war years and while Hallicrafters was doing military and government contracts they had to maintain a certain level of plant security. 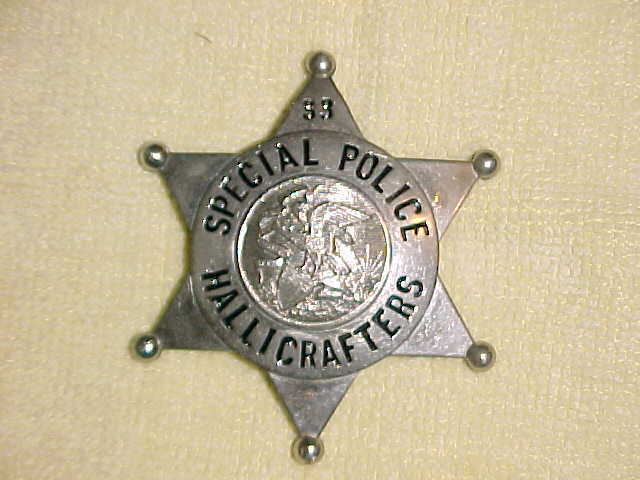 It was common for companies such as Hallicrafters to hire an outside "special police" force like Pinkerton to patrol the plant. I think this badge was issued to one of these special police. If you have any information on this subject I would like to hear from you.